Many of the soldiers’ faces have been incorporated into an intriguing and powerful gallery of portraits by DigitalNZ’s Chris McDowall. 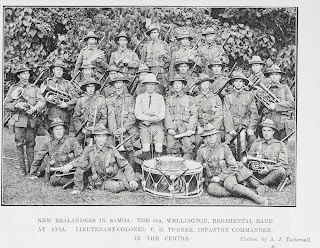 New Zealand’s first action of the war was to invade German Samoa, an episode that was recorded by resident photographer and former Aucklander Alfred John Tattersall. 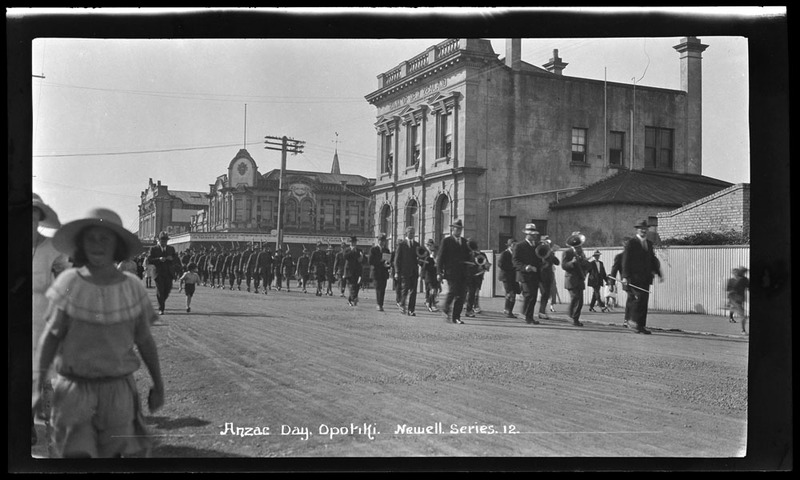 The photographs were published by the Auckland Weekly News, which has recently been digitised by Auckland Libraries. 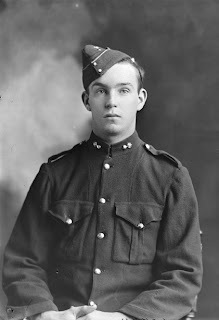 You can find out more about Tattersall through the Photographers database (simply type in Tattersall, Alfred into the search box). 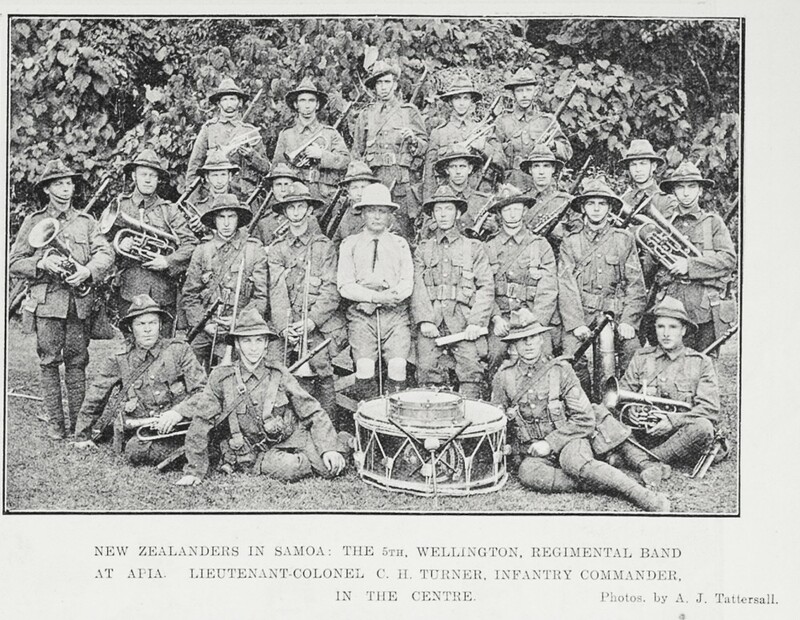 But the war was a disaster for German Samoans, men like Gustav Kronfeld, who instantly became 'enemy aliens' and were interned for the duration of the war on Somes/Matiu Island in Wellington Harbour.